Many believe that it will be difficult to challenge Facebook An open alternative to Facebook will be launched on 15 September, the developers of the project have said.Diaspora describes itself as a "privacy-aware, personally-controlled" social network.The open-source project made headlines earlier this year when Facebook was forced to simplify its privacy settings, after they were criticised for being overly complex and confusing.The project, developed by four US students, raised $200,000 (£140,000). 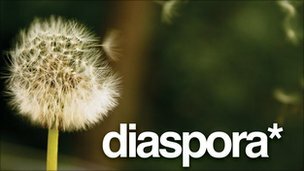 "We have Diaspora working, we like it, and it will be open-sourced on September 15th," the team wrote on their blog. The project was started by three computer scientists and one mathematician from New York.Their idea of building it gained momentum earlier this year during an intense period of criticism of Facebook, the world's largest social network"We want to put users back in control of what they share," Max Salzberg, one of the founders, told BBC News at the time. The team turned to the fundraising site Kickstarter to raise the $10,000 they thought they would need to build the network.In the end the team raised $200,642 from nearly 6,500 people.Mark Zuckerberg, the founder of Facebook, reportedly donated to the project.The initial release on 15 September will be to "open-source" Diaspora, meaning that the team will make the underlying code available for anyone to see and modify.Many believe that it will be difficult to challenge Facebook, which now has 500 million users and is currently estimated to be worth $33bn.